How to Pre-Order the HTC U11 and Get a $50 Discount Immediately? At $649, the HTC U11 is cheaper than the U Ultra and comes with a bucket-load of features, including having a 12MP rear camera that has managed to score 90 points in the DxOMark camera test results. HTC has already started taking pre-orders of its Snapdragon 835-powered flagship but if you’re looking to avail a discount on the company’s latest and greatest smartphone, then you’ve come to the right place. Before pre-ordering the smartphone, please note that the discounted price tag will only apply to U.S. residents since other regional websites are not accepting the code LOVEU11. 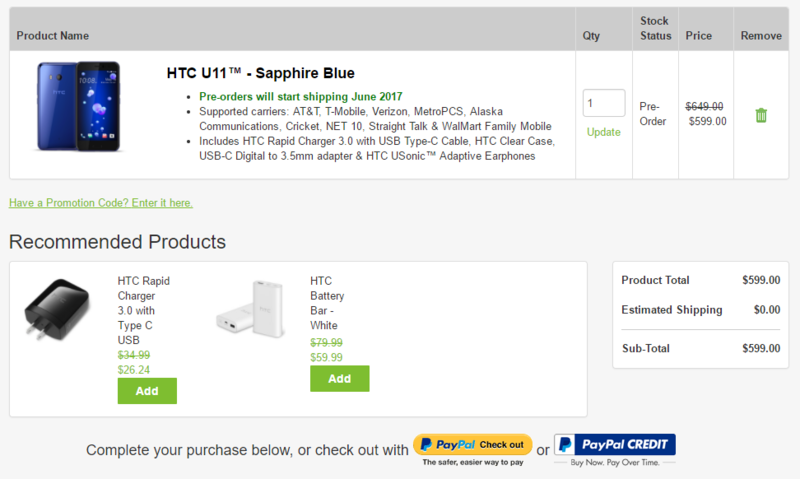 If you manage to checkout from HTC’s own U.S.-based website when entering the code, the total price of the smartphone will be reduced from $649 to $599 (as shown in the image below). That is a nice little trick for availing a decent discount on a phone that comes paired with Qualcomm’s latest and greatest hardware plus 4GB of RAM. There isn’t a headphone jack present, but there is a Type-C USB to 3.5mm headphone jack adapter to help you attach your earphones or headphones, and is a nice little addition to the bundled accessories. Unlike the approach that HTC’s competitors are taking with their bezel-less designs, the Taiwanese company has decided to stick with an older design because a bezel-less form factor means that you will need to make certain compromises on the audio front. 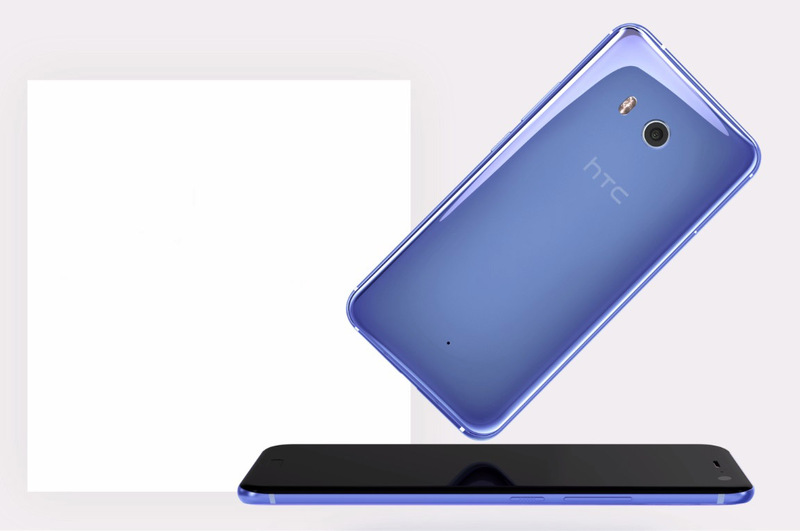 The HTC U11 ships out with a Super LCD5 panel with a resolution measuring at 2560 x 1440 and comes with a 3,000mAh battery. The feature that will probably stand out the most is Edge Sense, where when the user squeezes the handset, it will respond with an appropriate action. Will you pre-order the HTC U11 now that you have found a way to get a decent $50 off your purchase? Tell us your thoughts down in the comments right away.